Basketball, particularly the level at which it is played in the NBA, requires the utmost physical condition by the players in other to succeed. This is a fact that is both repeated as a recipe for success and also as a protection for those who are physically unfit. It is therefore very interesting to find that there is a player with just nine fingers in the NBA. That player? Gerald Green. While we could go into the biology and human anatomy of why losing just a finger doesn’t make him a disabled person and thus capable of performing basic tasks with ease, the simple explanation for his continued existence and success in the NBA is that Gerald Green is a talented player who is better than several options, even with one less finger. Explore the life and career of one of the physically interesting players in the NBA. 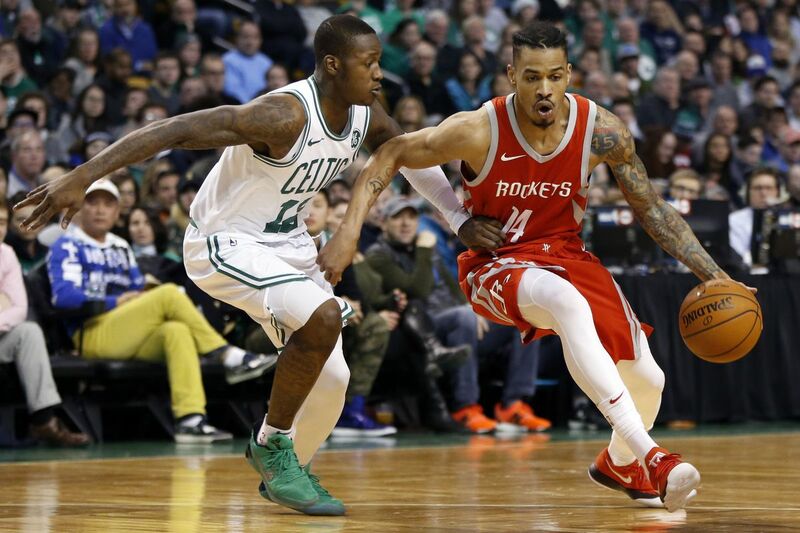 When he was traded to the Rockets in 2017, it can be said that Gerald Green was delighted to be returning home as he was born in the team’s city of Houston on the 26th of January 1986 to Brenda and Gerald Green. Green took to basketball early in his life and it looked like it was going to be a smooth road ahead for the Houston native until he suffered an unfortunate accident. In 6th grade, Green had an accident that led to the amputation of the ring finger on his right hand. This derailed his basketball journey for a while and he did not play competitive basketball until he was in his second year of high school at J. Frank Dobie High School. Having gotten over both the emotional, psychological and physical effects of the accident, he grew to become one of his school’s best players. He later switched schools to Gulf Shores Academy before graduating. While most players would spend at least a year in college to hone their skills and get a feel of a more competitive level of basketball before diving into the deep end of the NBA, Gerald Green went straight for the jugular and declared for the NBA right out of high school in 2005. He was selected as the 18th overall pick in the 2005 NBA Draft by the Boston Celtics. His rookie season began slowly and he never made much of an impact for the Celtics who sent him down to the NBA D-League. In his sophomore season, things improved much more for Gerald Green, notably through the fact that he wasn’t relegated to a lower league and he played more games for the Celtics. That same year, he also won the NBA Slam Dunk Contest. After his time with the Celtics ended after two seasons, he was traded to the Minnesota Timberwolves after which he began a journeyman career that has so far seen him play for 12 different teams in the NBA. Now playing for the Rockets, he first joined the Houston based team in 2008 where he spent half a season before he was traded to the Dallas Mavericks. With poor performances and strong competition for places to blame, Gerald Green was unable to get a team but was determined to maintain a career in basketball. Because of this, he spent a couple of years out of the NBA, playing in Russia for Lokomotiv-Kuban and in China for Foshan Dralions. He later returned to the NBA and has been a part of the world’s greatest basketball league ever since. He joined the Houston Rockets again in 2017 after leaving the Milwaukee Bucks. So far in the NBA, Green has played over 500 games and started just a little over 100 of them. He has also played in the playoffs over 50 times for five different teams. Gerald Green was born and raised in a small family. While there is no confirmation of the absence of any other sibling, it is believed he has only one sibling, a younger brother named Garlon Green who is also a basketball player. He plays in the Israeli Premier League for Hapoel Tel Aviv. As for his extended family, he has a notable cousin named Danny Green who plays for the Toronto Raptors as a shooting guard. Just like his career has turned out to be, the story about Gerald Green’s personal relationships is not straight forward. However, he is believed to be currently in a relationship with Dorislyn Martinez. It is not clear if Martinez or someone else is the mother of his two children; Geremiah and Julius. When it comes down to it, the attraction of the NBA is the money available for players wages, and since he was drafted into the NBA in 2005, Gerald Green has been able to accumulate plenty of it. He started his career earning $2.6 million over the course of 2 years for the Boston Celtics. He has since graduated to mega contracts like a $10.5 million 3-year deal with the Indiana Pacers and several other short-term contracts with other teams. This has played a significant part in helping him build a net worth of $20 million. He is currently on a $1.5 million annual salary with the Houston Rockets.